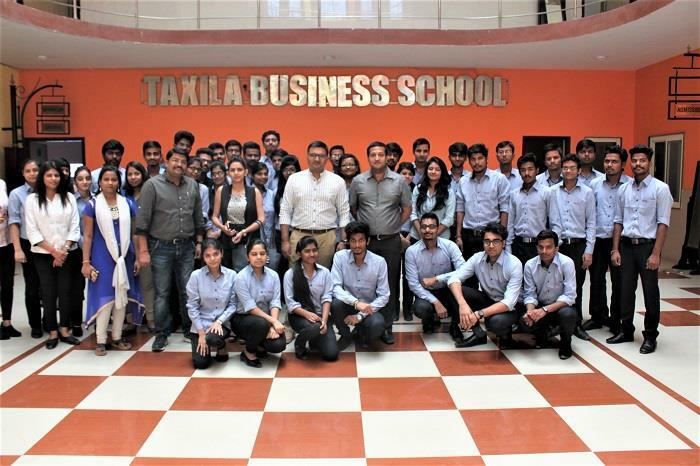 SAP and Taxila Business School have joined hands to teach SAP module at Taxila Business School. Minimum placement expected is Rs 12.00 Lac for SAP Globally Certified students with Taxila PGDM. Taxila Business School ranked 20th across India, graded A++ & AAA, offers two years full-time PGDBA & PGDM (AICTE approved) course. Taxila is an official SAP MEMBER for training on SAP certifications. Data Analytics is taught at Taxila on IBM and BIGDATA association. Taxila is ‘Centre of Excellence in Logistics and Supply Chain’ with knowledge partner Confederation of Indian Industries (CII). The school works 9.0 AM to Midnight six days a week and the intensity of the course is to be felt to be believed. The PGDM (Post Graduate Diploma in Management) offered by Taxila Business School is approved by AICTE, Ministry of HRD, Govt. Of India and designed to develop thinking process required in critical situation and decision making for careers in business & top management and day to day life. SAP Systems, Applications and Products is the world’s largest business software company – founded in 1972 and headquartered in Walldorf, SAP Company produces 400+ business softwares. SAP ERP (Enterprise Resource Planning) is the standard software all businesses need to run their business processes. In this field SAP ERP is the most prevalent product in the world. It covers all of the processes thus, is used in many different divisions of a company. Additionally, products such as SAP- HCM preferably suited for Human resource Management, SAP -MM (Material Management) , SAP -SD (Sales and Distribution) and many more are specially tailored for certain business areas. In order to adjust SAP products to a company’s structure it can be customized according to the respective needs. Taxila accepts CAT, CMAT, XAT, GMAT, ATMA and MAT score. Aspirants seeking admission to Taxila PGDM must have min 50% marks in graduation for General and 45% for reserved category as per AICTE norms. Students appearing in their final year of graduation are also eligible to apply. Feedback from the referee (Reference is declared by the student while filling application form): Elimination round. Personal Interview-1(PI-1)Telephonic round: It has marks. Personal Interview-2(PI-2): Skype/ WhatsApp call: It has marks. Online case study Analysis under controlled environment: It has marks.